There aren't many events bigger than the Super Bowl, but the Olympics might be one of them. 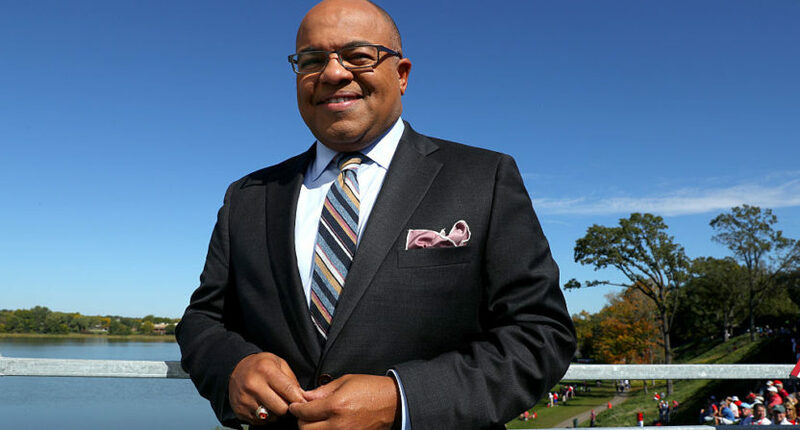 Come February, NBC host Mike Tirico will skip out on the biggest event in American sports to instead be on hand for the biggest event in international sports. Tirico could have hosted NBC’s Super Bowl coverage from Minneapolis, then jetted off to Pyeongchang in time for the network’s first primetime show from the Winter Olympics. Instead, Bob Costas will work the Super Bowl while Tirico gets a head start eastward. Here’s is how Tirico explained the decision to the Associated Press. “I have never watched a Super Bowl on a Monday morning,” Tirico joked recently before heading to Pyeongchang this week for some prep work and reports for NBC News. “Of course I would have loved to do both, but logistically it so unrealistic. If I leave Minneapolis on Sunday night after the Super Bowl, I’m not at the IBC (international broadcast center) until Tuesday in the middle of the day in South Korea, and Thursday we are on the for the first prime-time show. If you have one bad weather day, what are you going to do? “And we’re embarking on 18 straight nights of prime-time television and want to do it the right way. And this is my first time doing this. Tirico has contributed to NBC’s coverage at the 2016 Summer Olympics, but in 2018, he will take over as primetime host, a role Costas has held at every Games since 1992. In his previous role, Tirico might have been able to work the Super Bowl, then head over to the Olympics, but as primetime host, he can’t risk being late or being unprepared. He is already a bit disadvantaged enough by having to study up on Olympic sports while still fulfilling his Thursday Night Football and Notre Dame play-by-play gigs. It took an unlikely confluence of circumstances to force NBC to choose between its Super Bowl coverage and its Olympics coverage. The network broadcasts the Super Bowl only once every three years, and the Winter Olympics obviously occur once every four years, so it’s only once every 12 years that the network has both events simultaneously. It wouldn’t be as much of an inconvenience if the 2018 Winter Olympics had been in North America, as they somewhat often are, allowing for easier travel, but South Korea is a long way away. But in the end, NBC will be just fine. Costas might make you roll your eyes once in a while, but he’ll serve as a competent Super Bowl host, while Tirico will have ample time to ready himself for Pyeongchang.